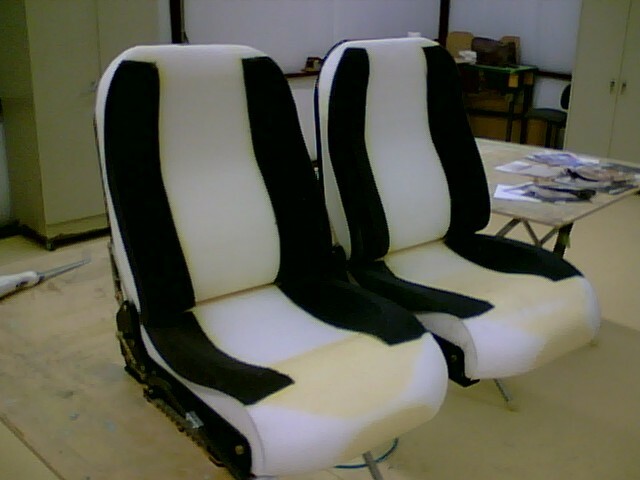 Although the seat cushions supplied with the kit are great, I wanted the RV10 interior to be more like a Lexus instead of an airplane. 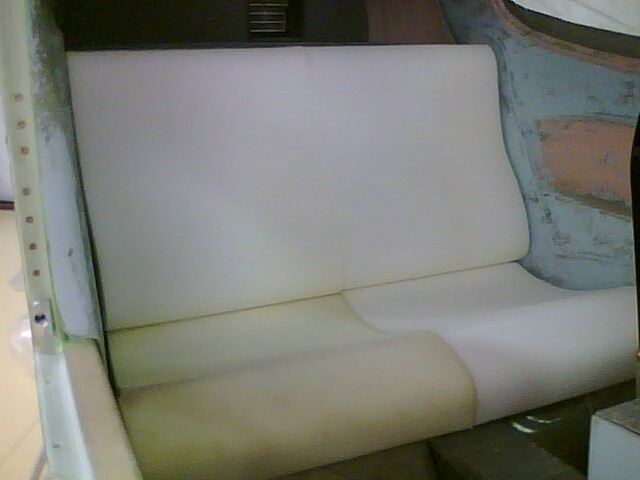 The interior shop I used was Chuck's Auto Reupholstery. 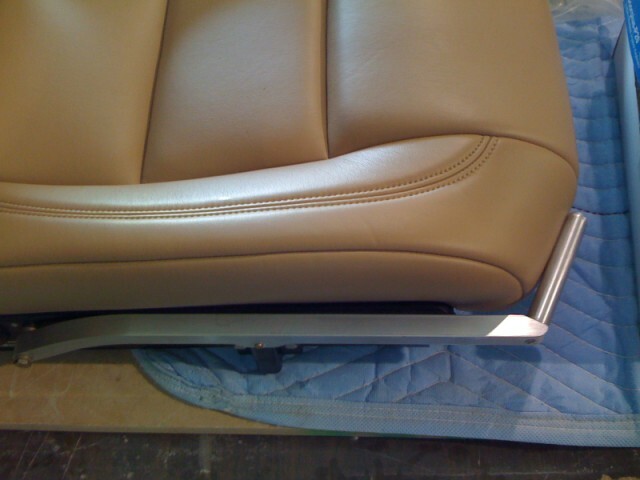 Chuck Rowland specializes in street rods. 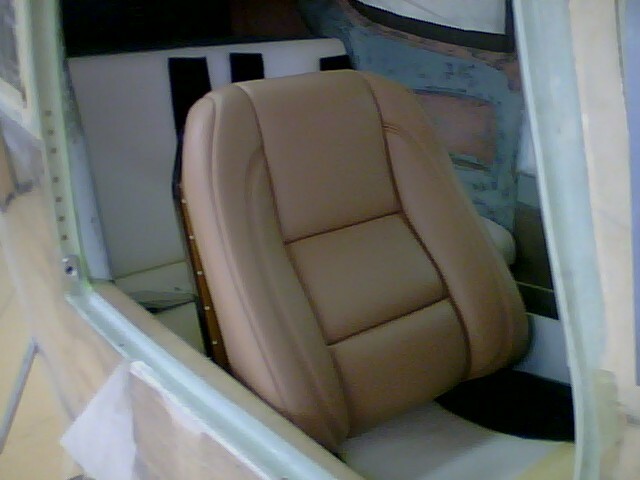 He did the interior on my 1932 Ford Tudor Sedan street rod. 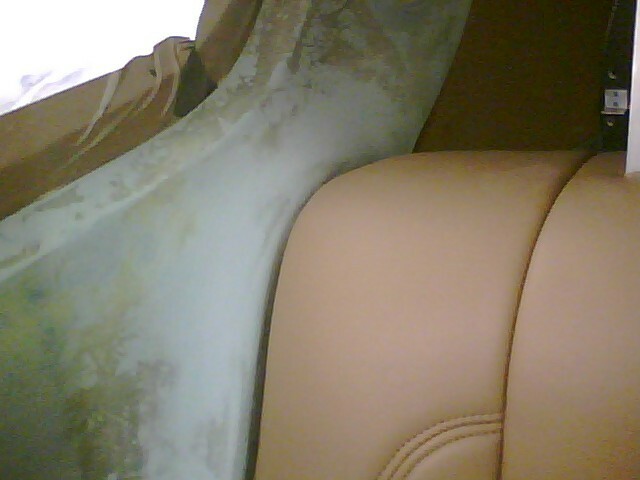 His expertise on interiors is outstanding. 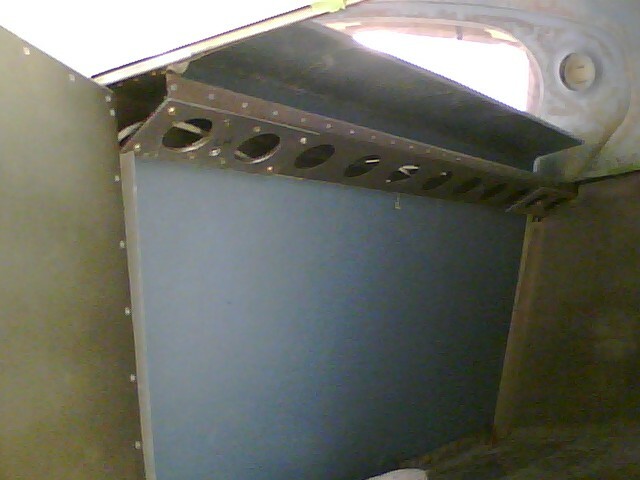 This was his first attempt at doing an airplane. 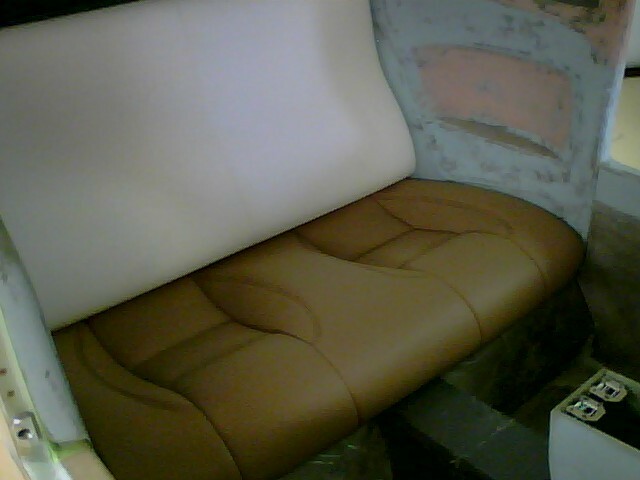 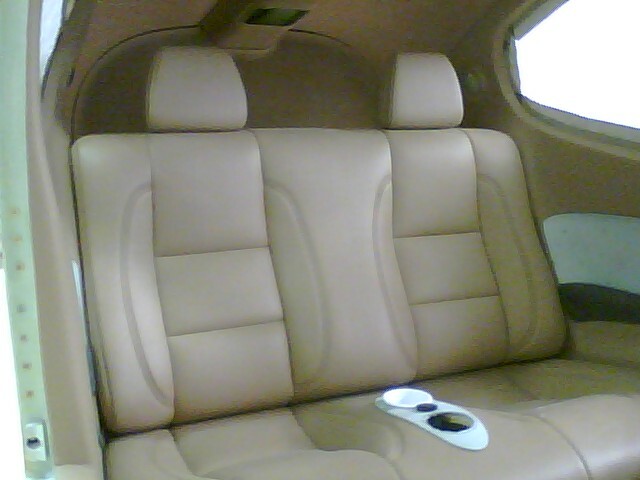 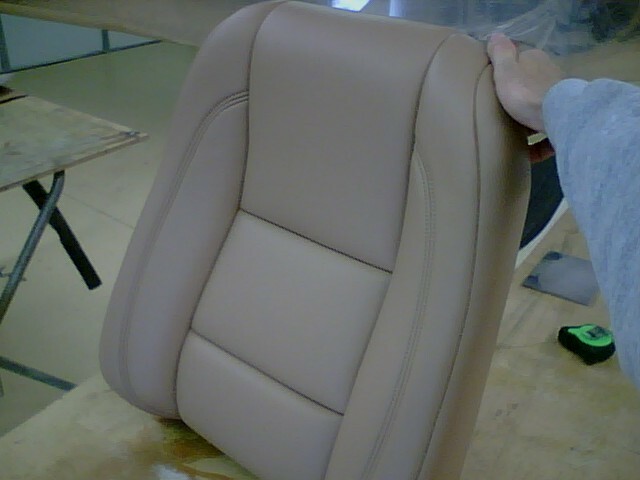 The seats are covered with Ultra Leather. 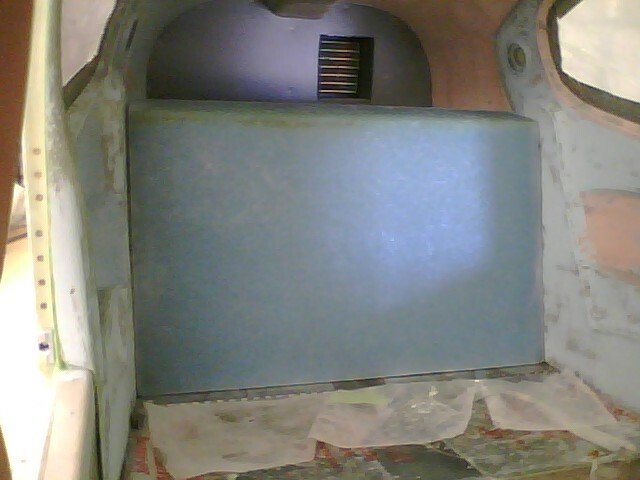 The foam was custom cut by Chuck. 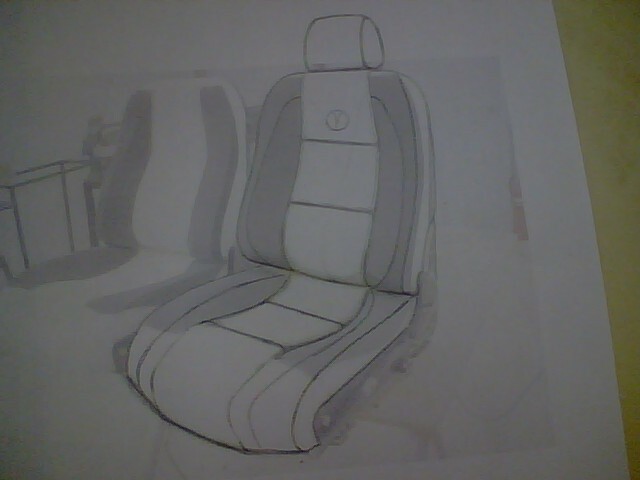 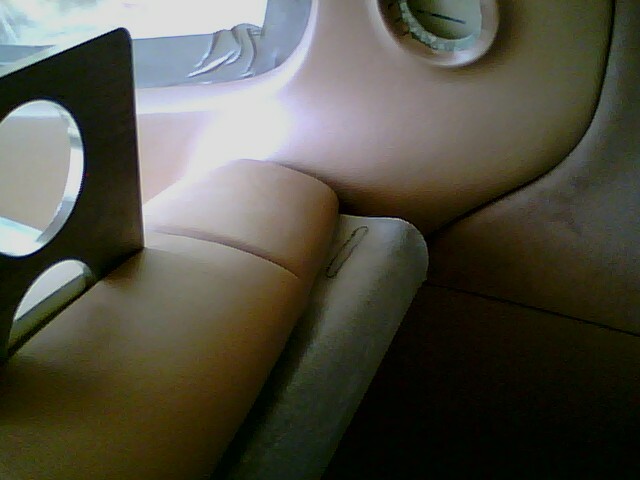 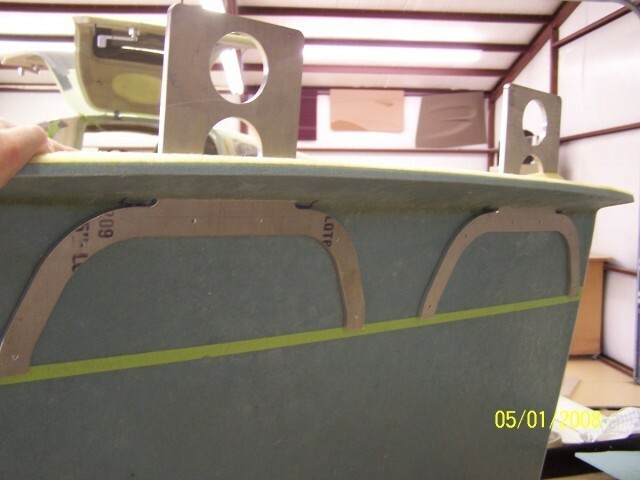 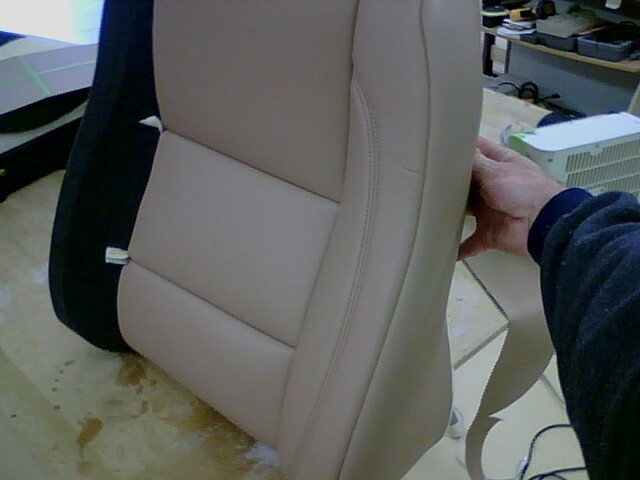 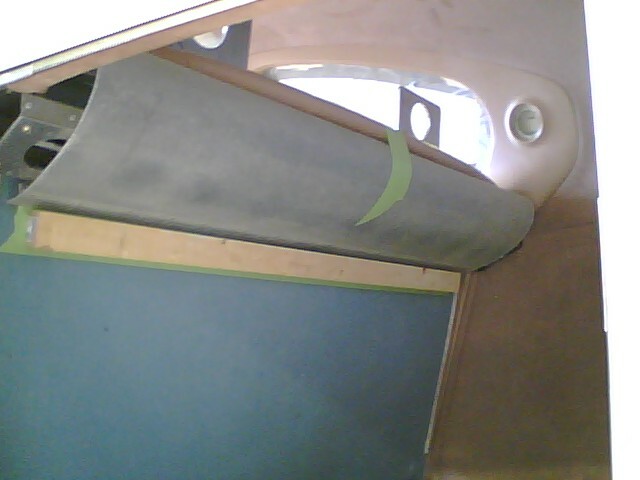 The idea for the back seats was to have the back seats curve into the sidewalls so it looked like one continuous molding. 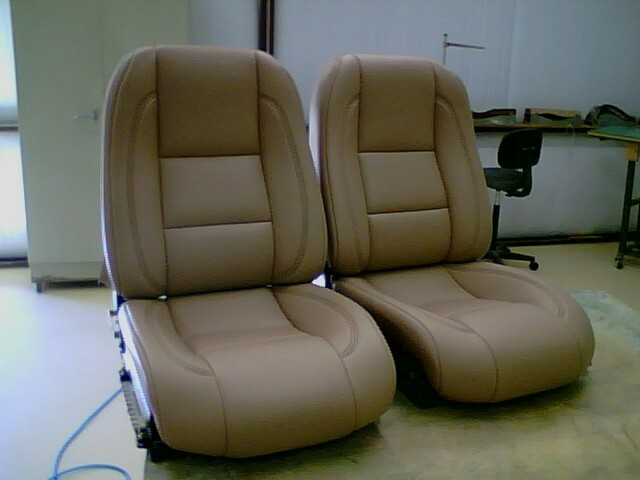 The back seat has a one piece bottom and top, but built to look like two separate seats. 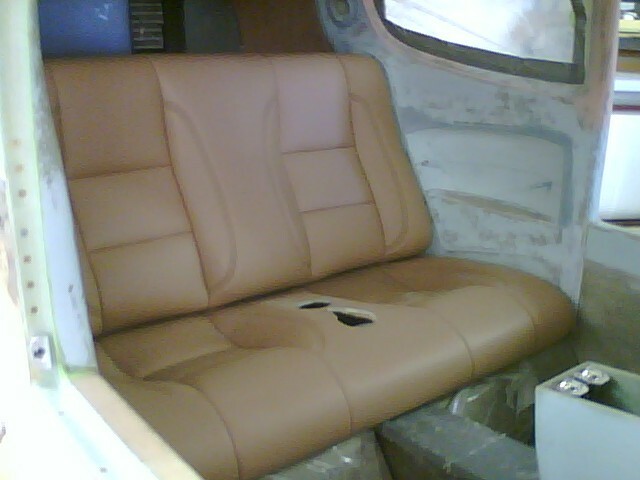 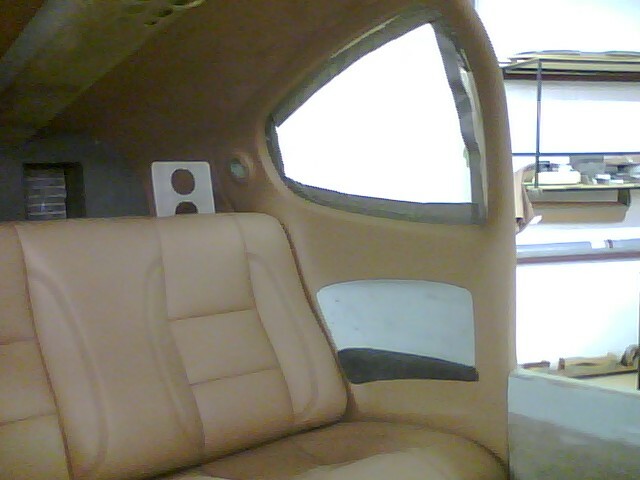 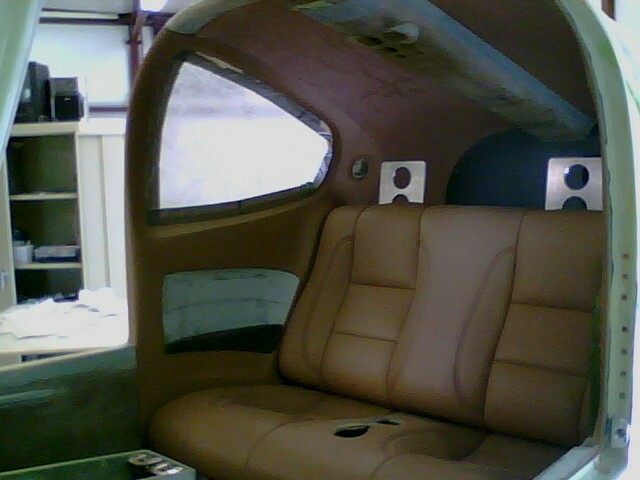 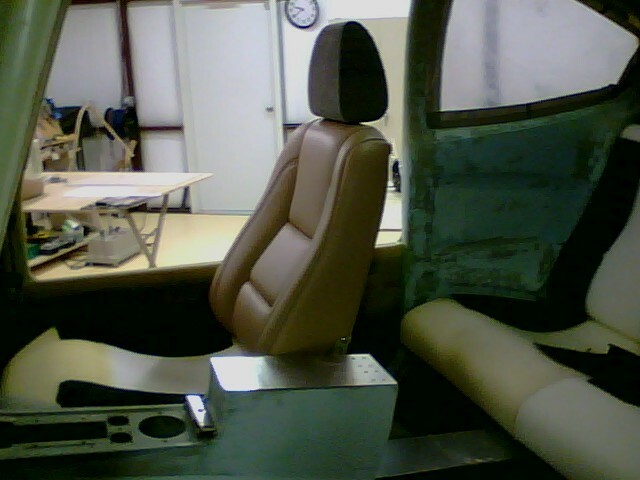 Both seats are removable in case I needed the area for cargo or for the annual inspection. 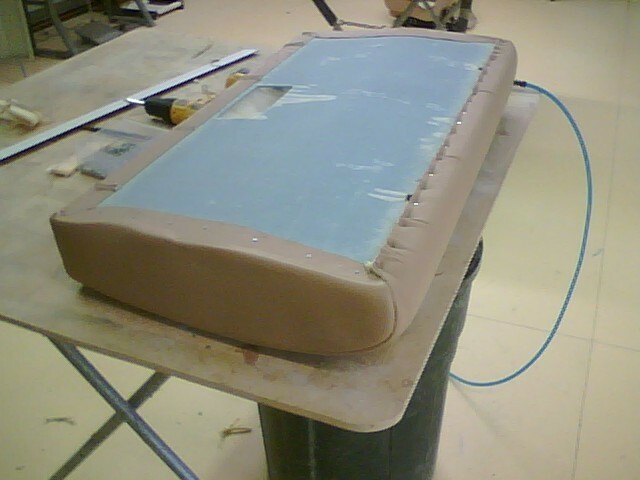 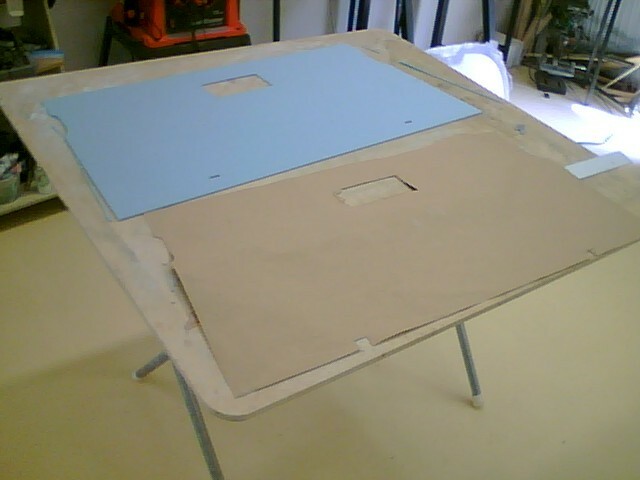 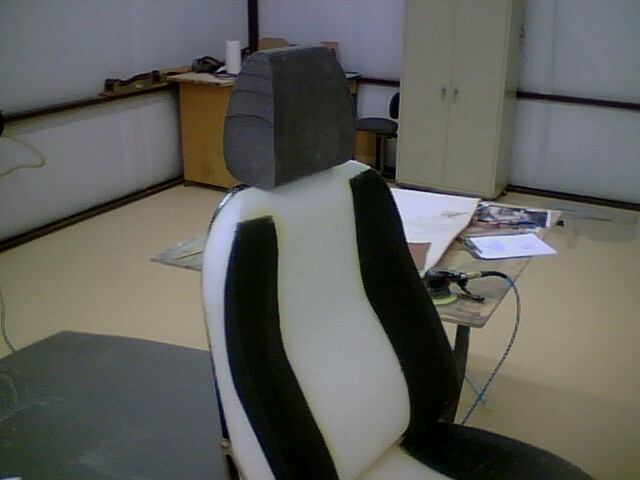 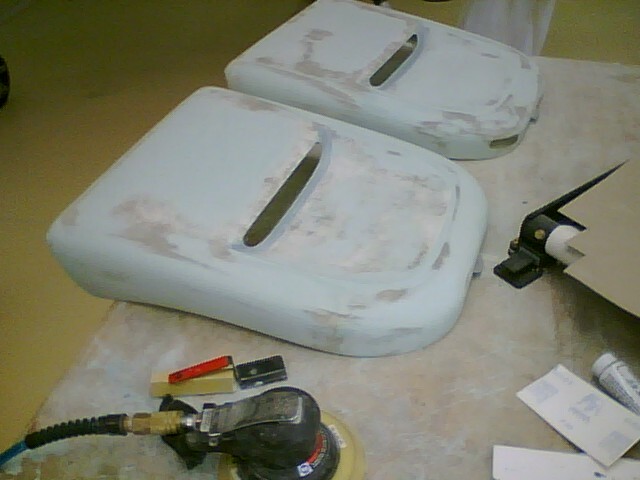 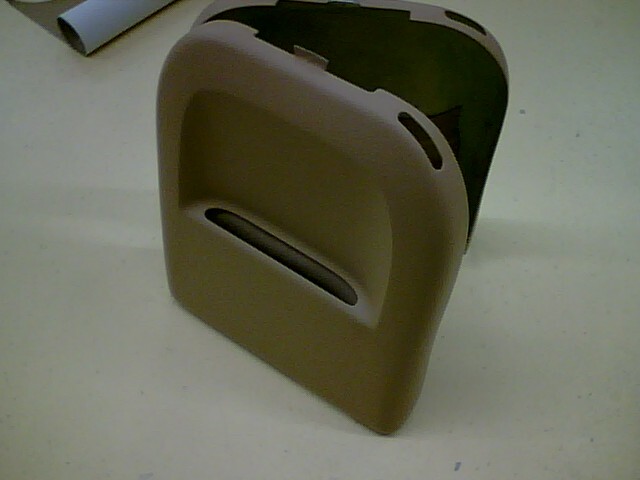 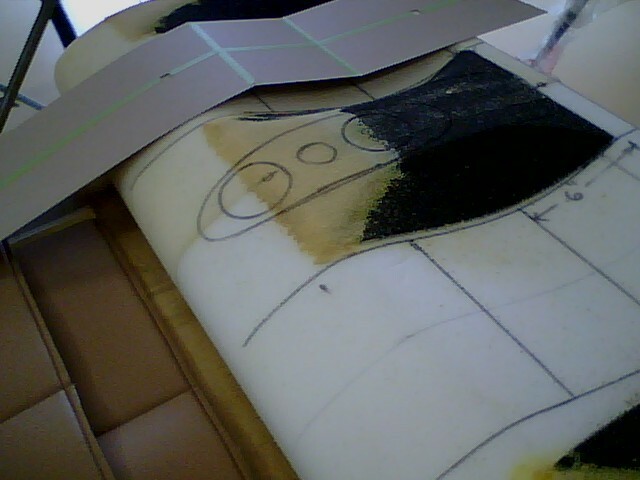 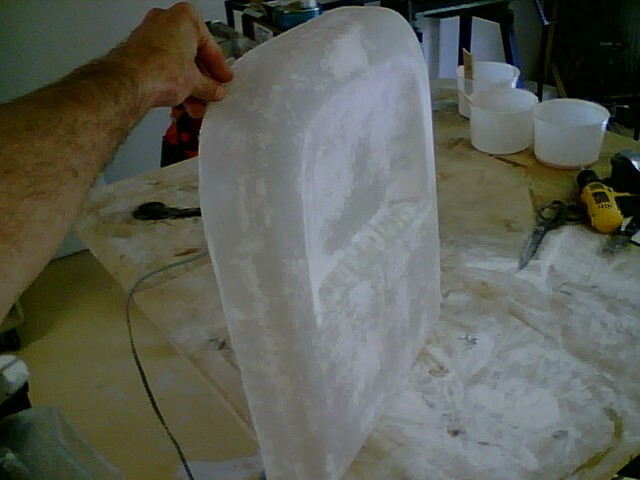 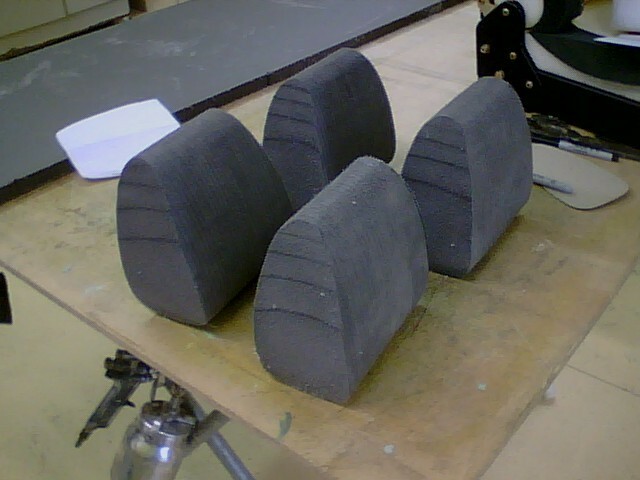 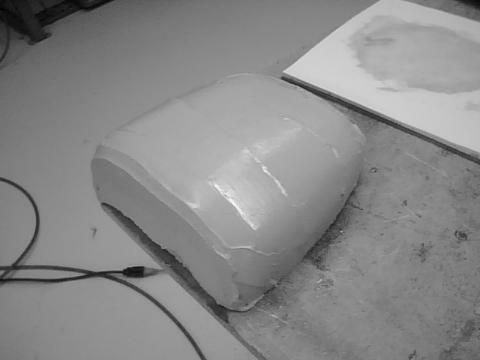 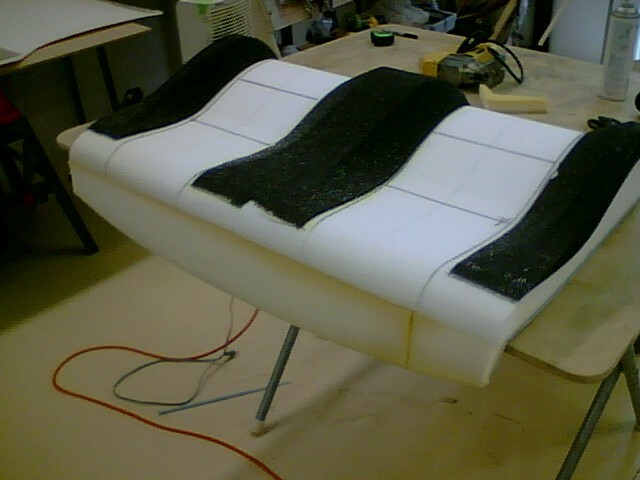 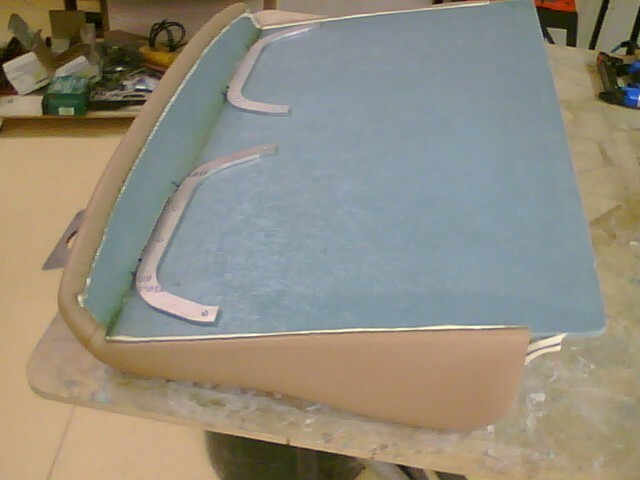 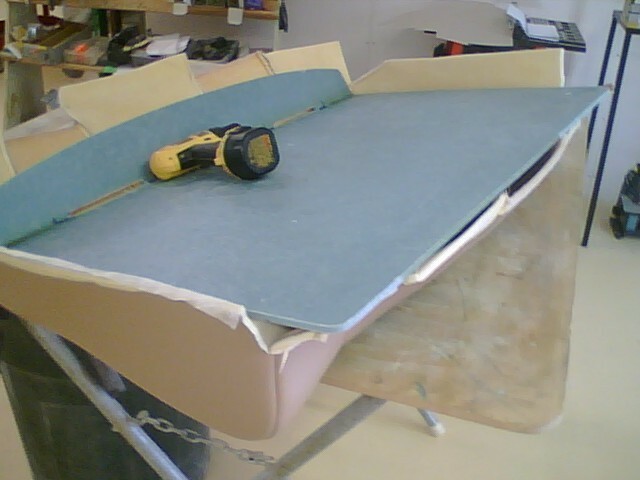 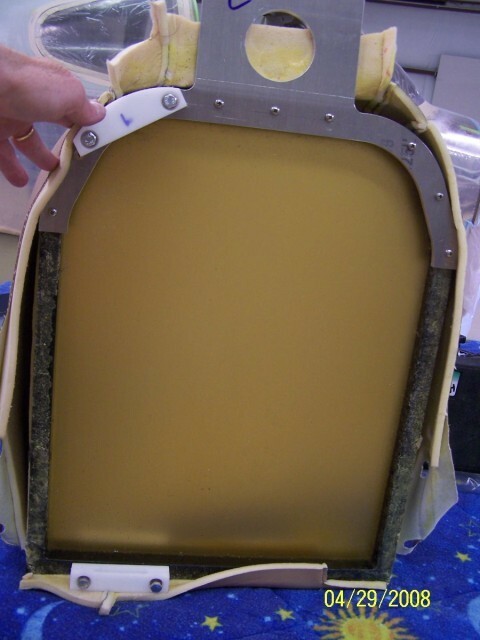 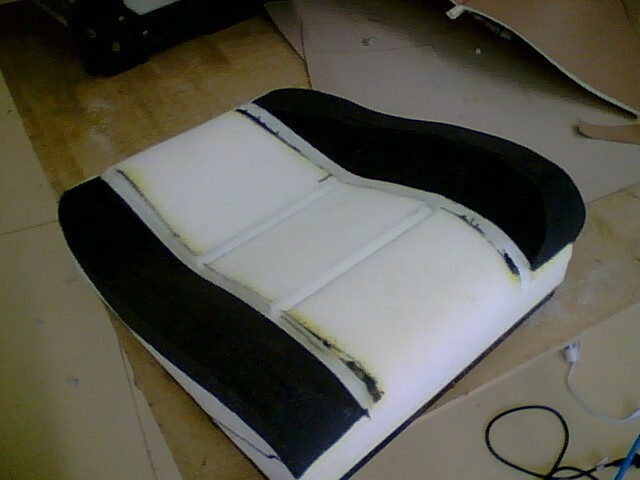 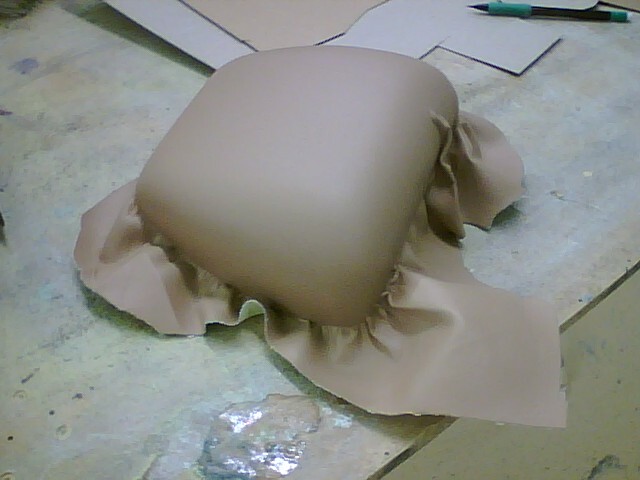 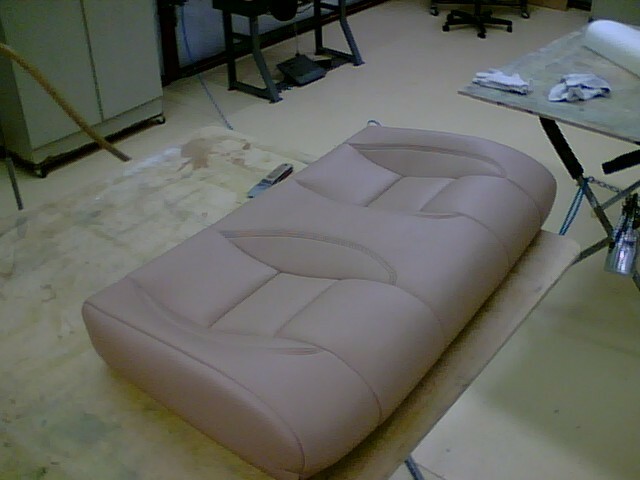 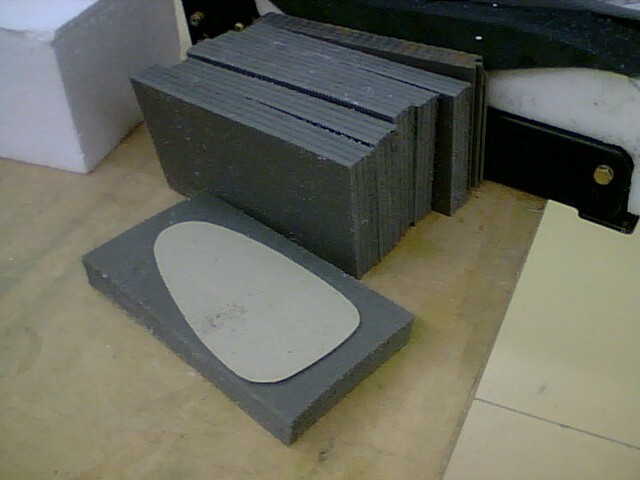 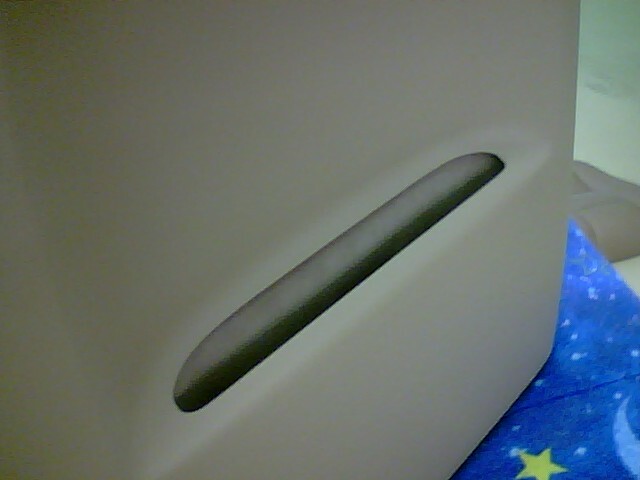 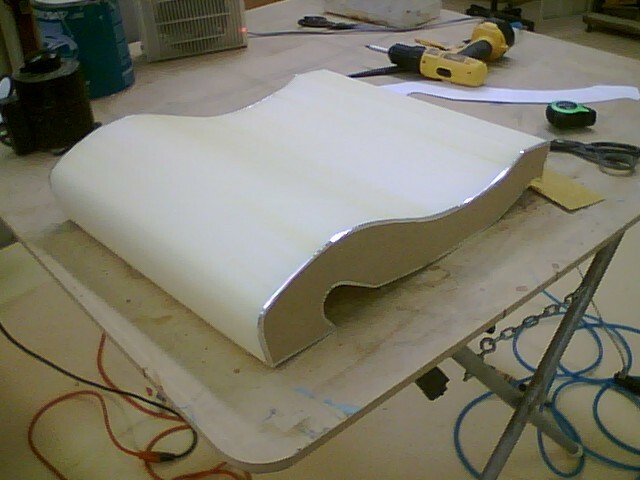 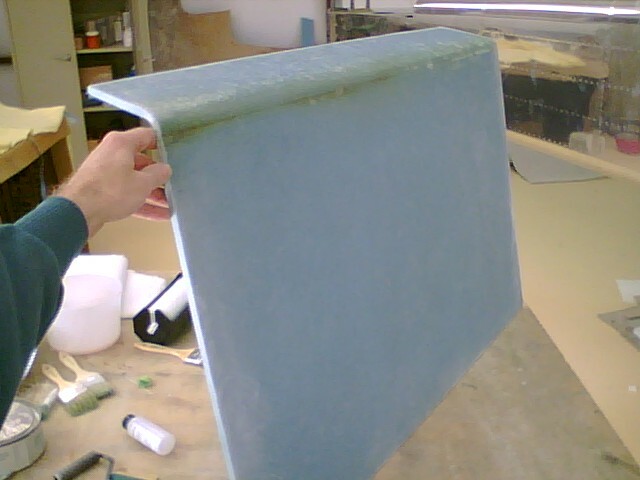 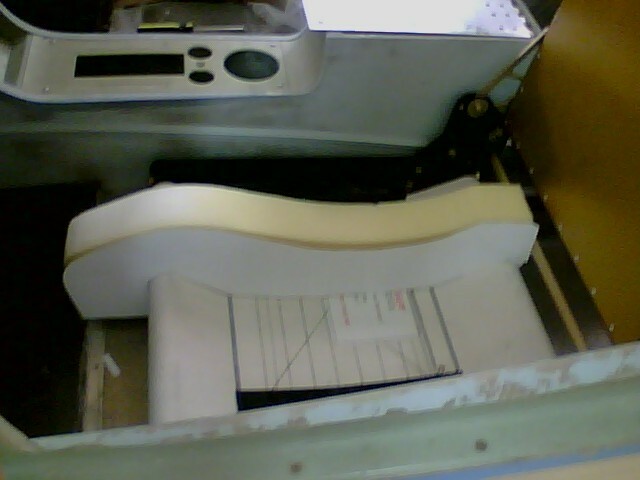 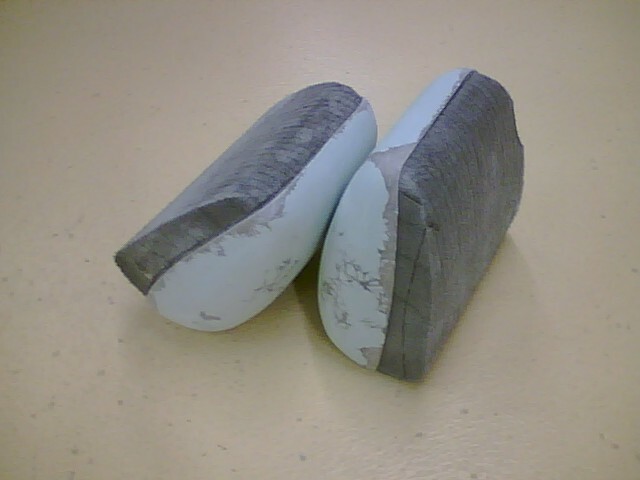 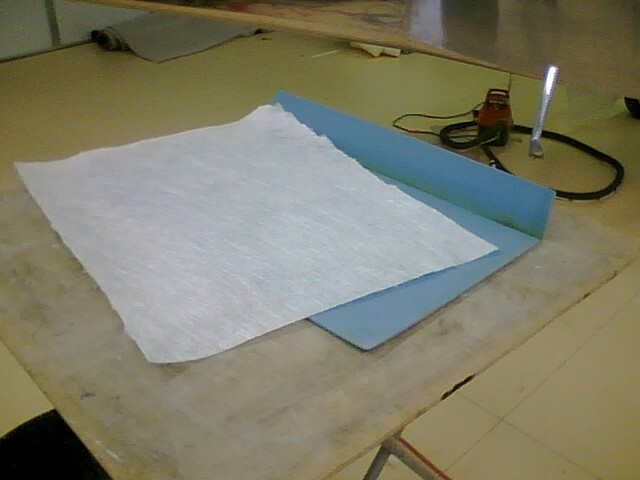 The back support for the seat was made from 1/4" PVC foam. 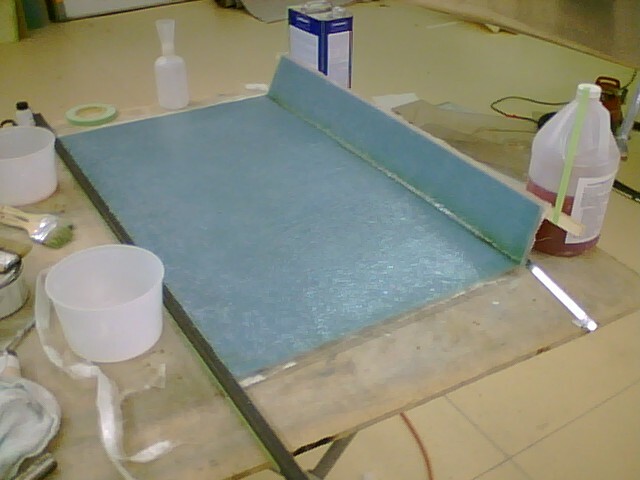 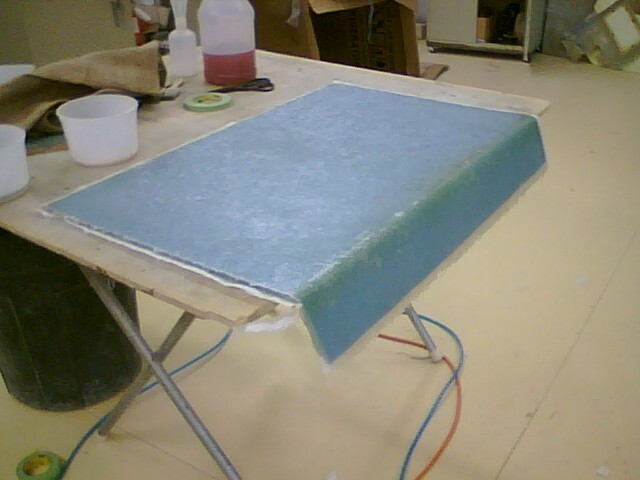 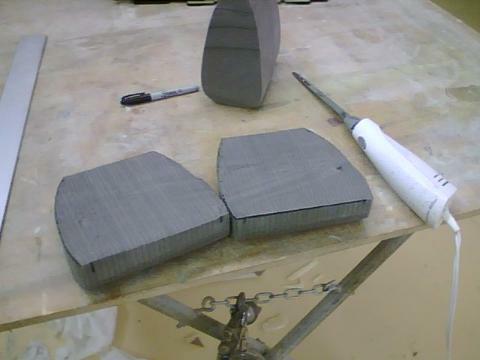 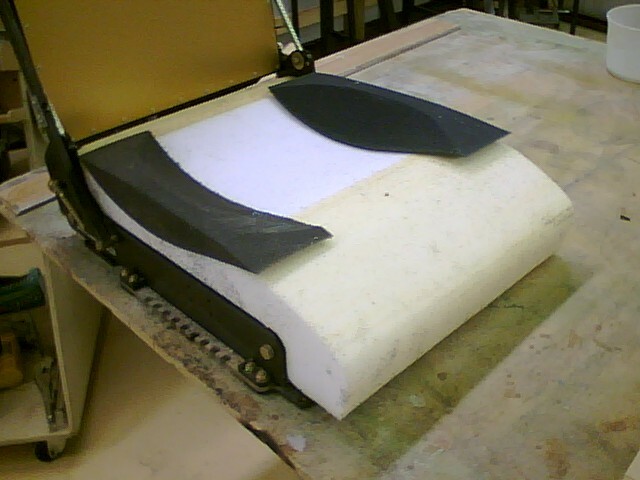 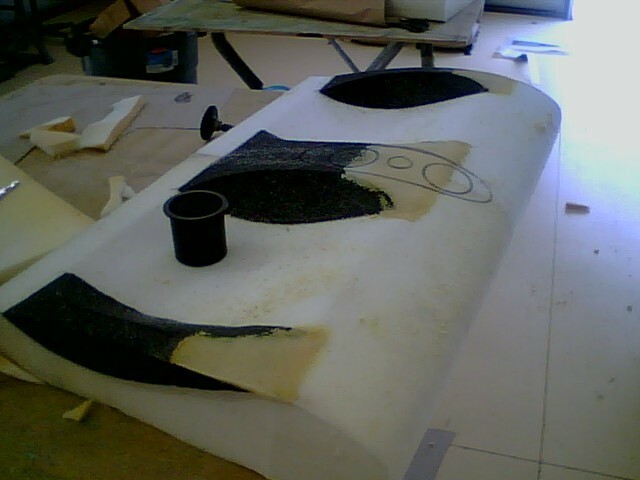 Heat was applied to the top edge as the foam was bent. 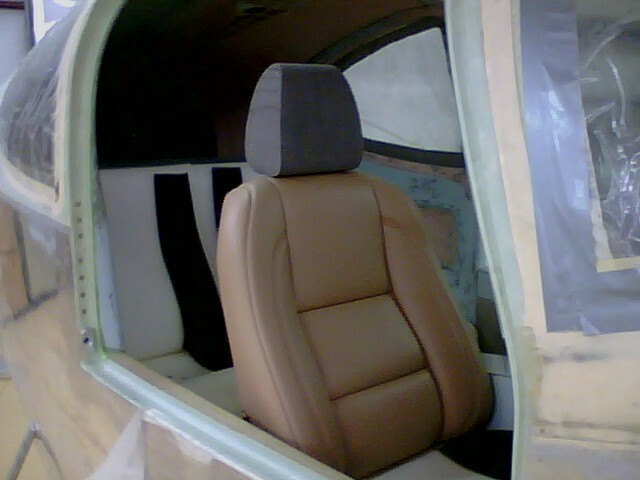 This allowed the seat back to cover the cabin support beam. 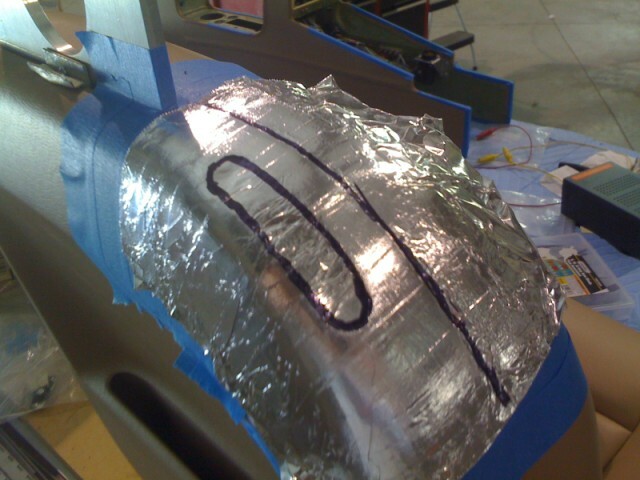 1 1/2"aluminum angle was bent to follow the seat back position. 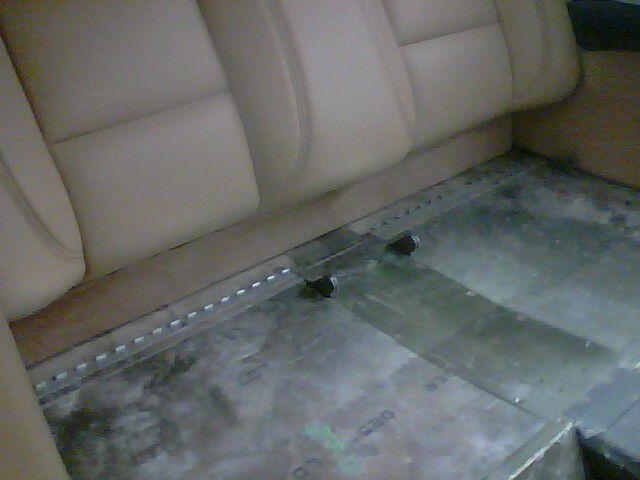 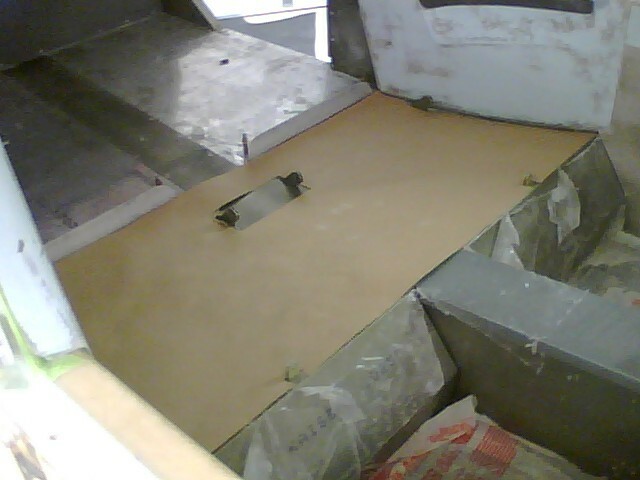 The angle was riveted to the floor behind the backseat hinge attach points. 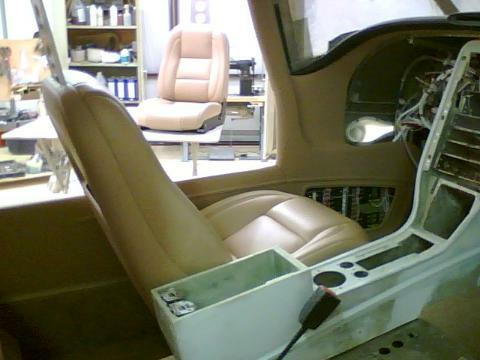 A custom cup holder/power plug panel was made to occupy the section between the two seat bottoms. 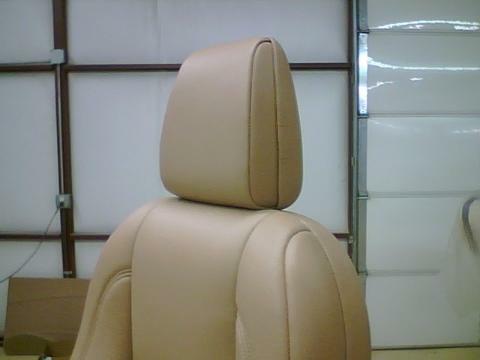 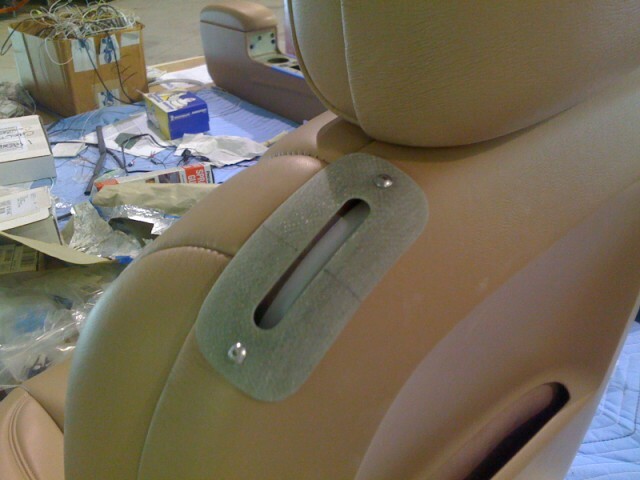 Headrest support brackets were made to mimic the front seats. 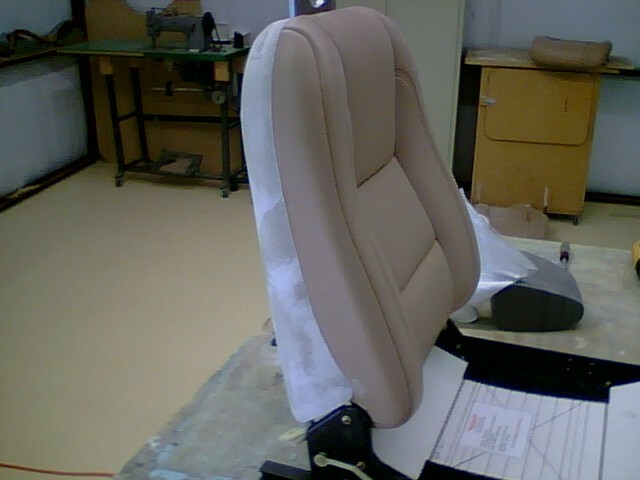 The first thing to do was cutoff the headrest support frame. 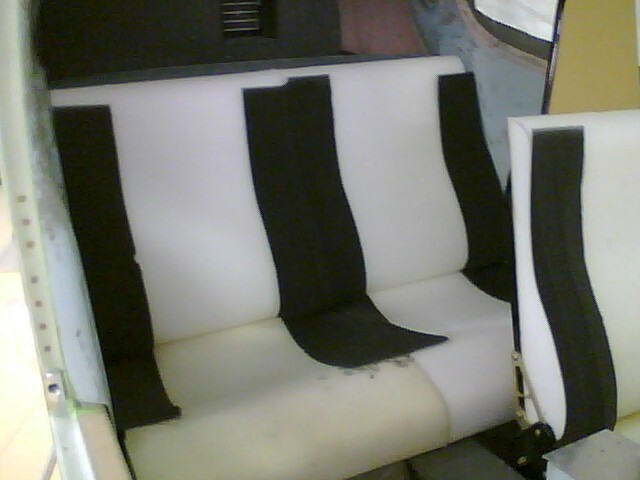 The seats were designed to include wrap around seat cushions to cradle the legs and back. 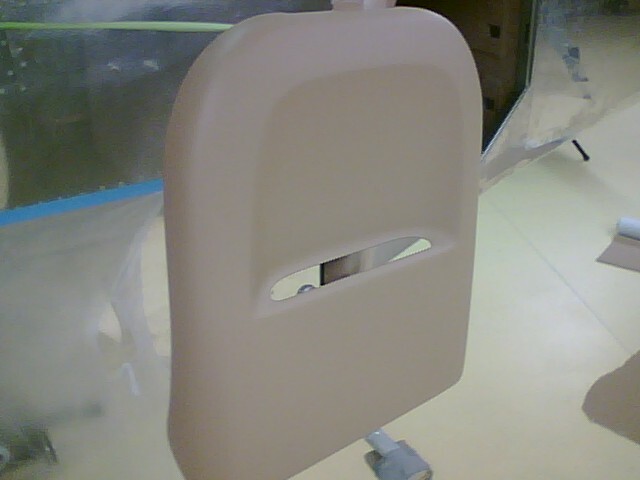 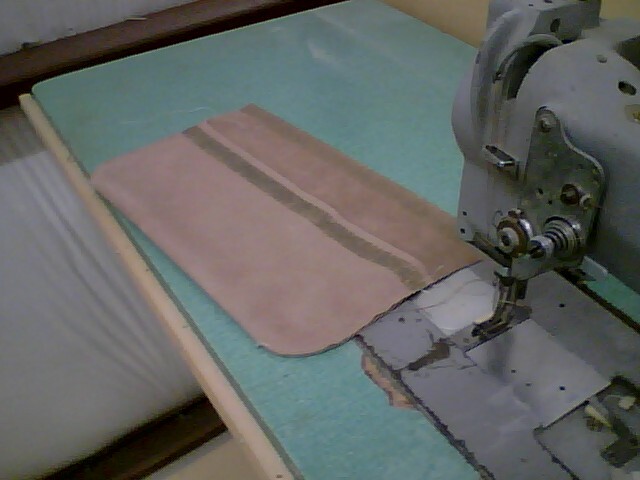 The routing of the shoulder harness would be through nylon guide blocks attached to the back of the frame. 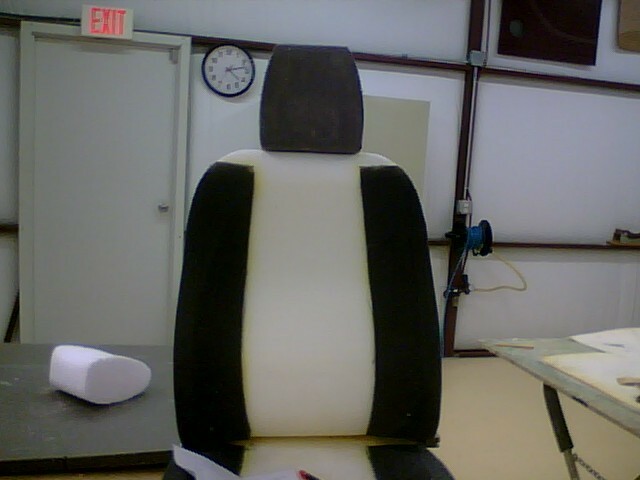 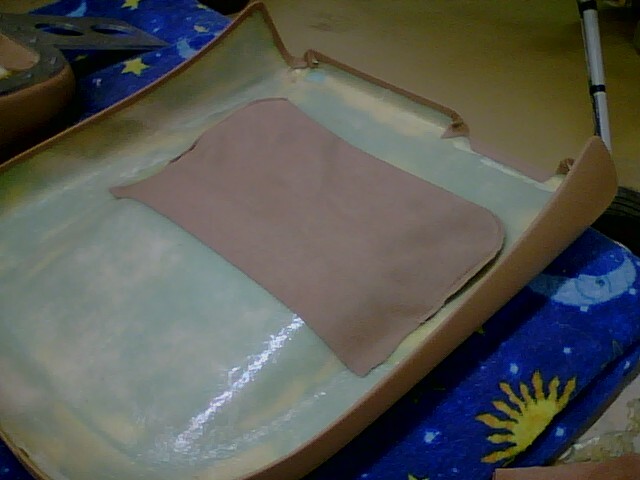 A molded cover was made for the back of the seat to hide the shoulder harness routing and include a map pocket for the back seats. 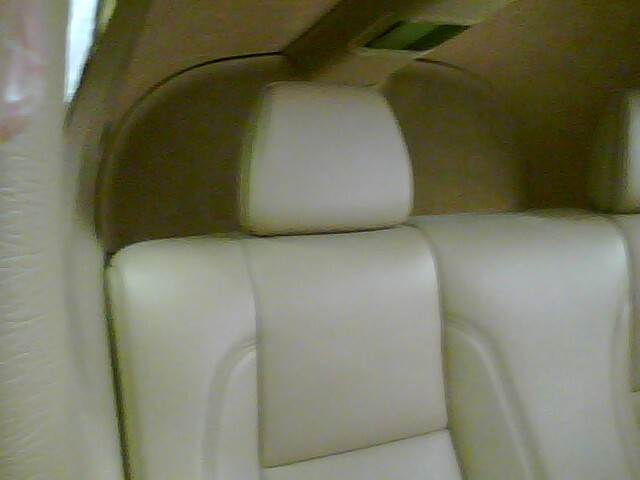 The last picture is a new seat lever that was designed for the custom front seats. 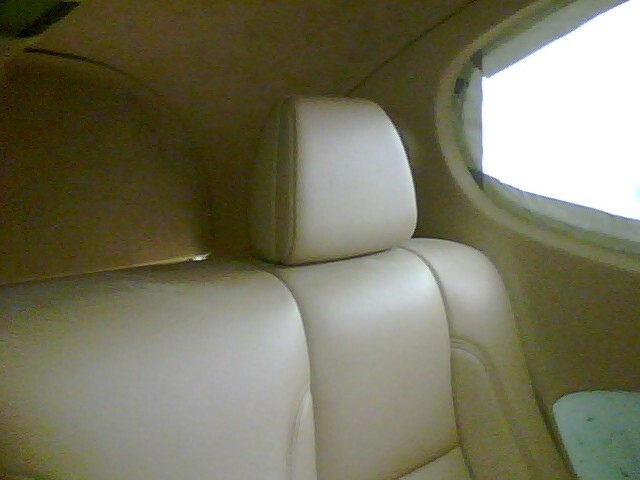 The supplied headrest would not go with the scheme of the front seats. 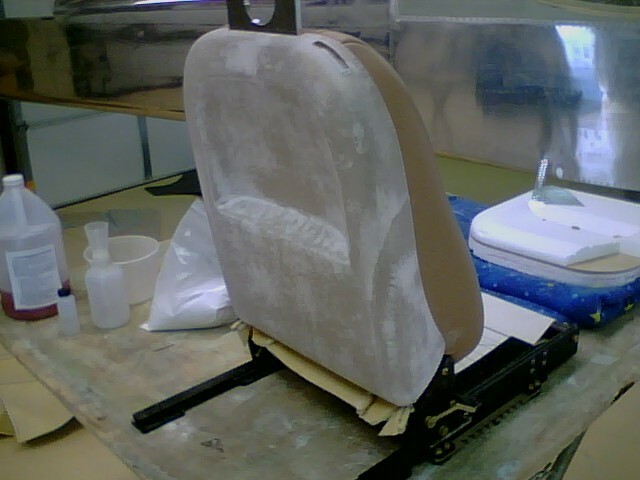 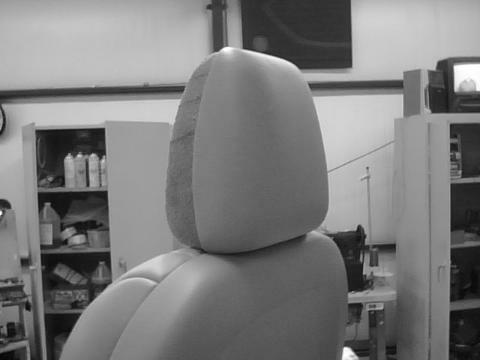 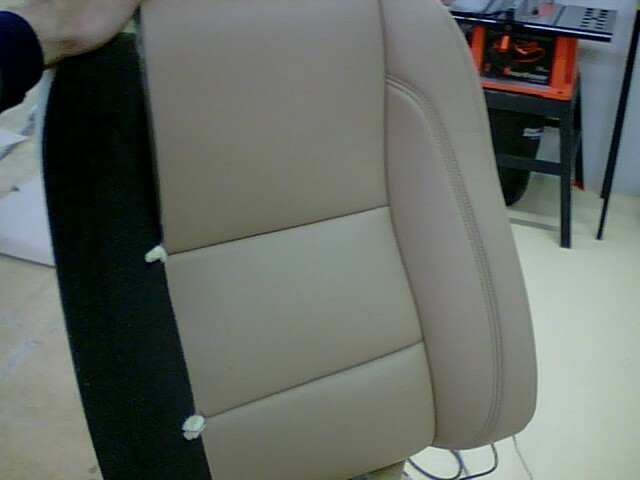 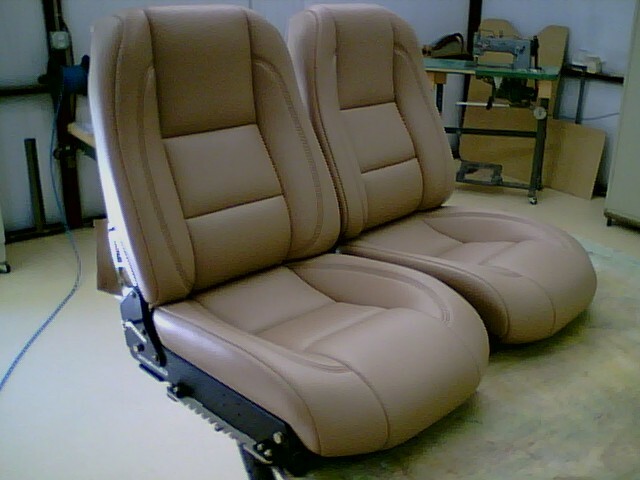 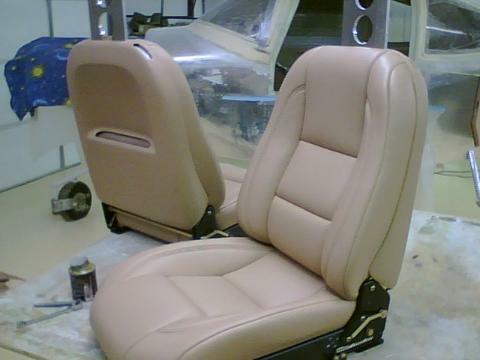 The existing headrests were cut off the seat frame. 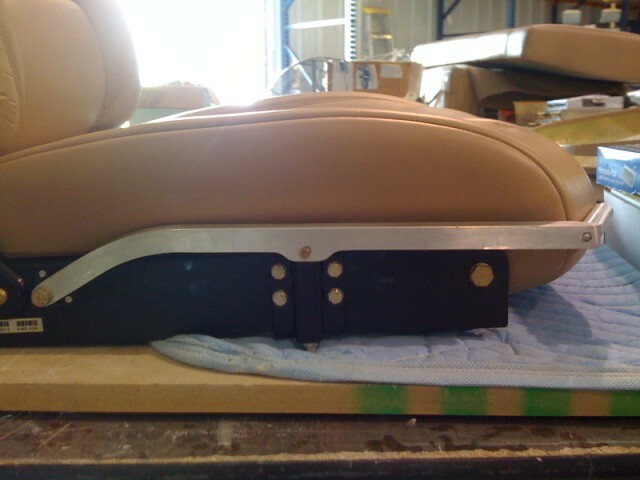 A new headrest support bracket was made for the headrests. 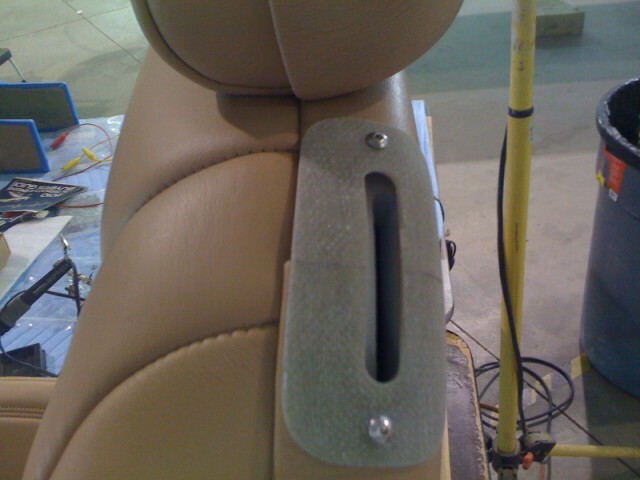 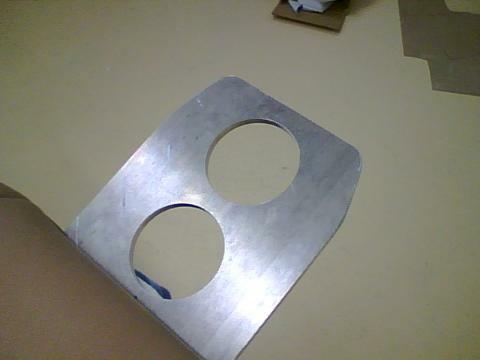 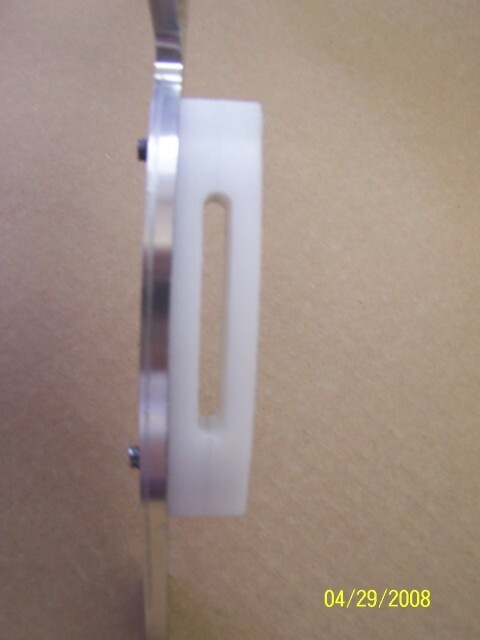 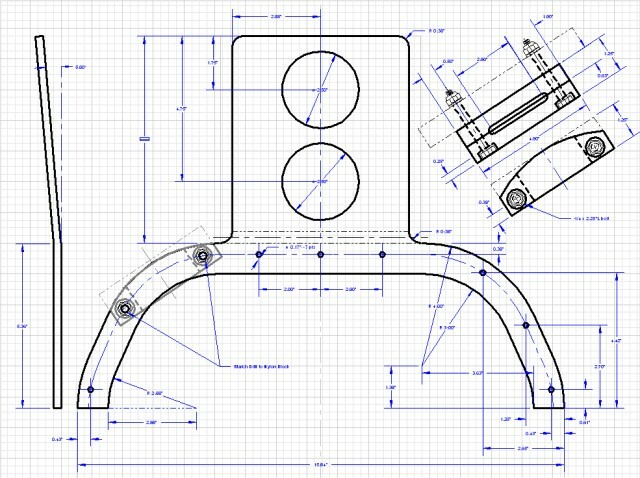 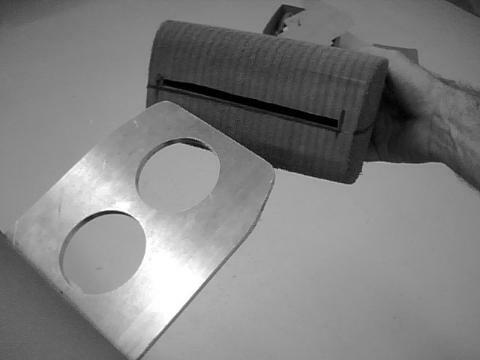 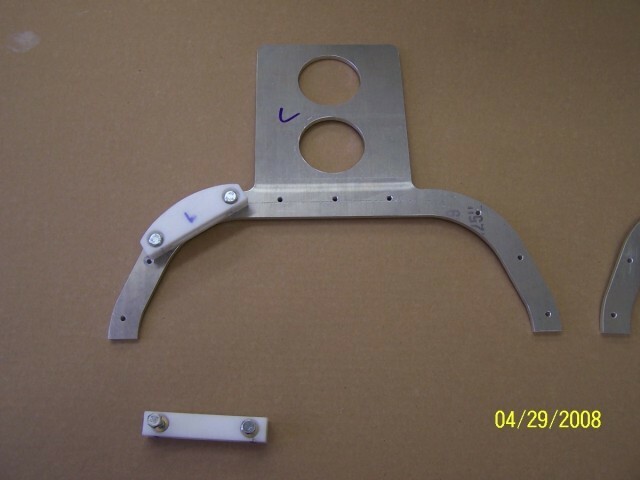 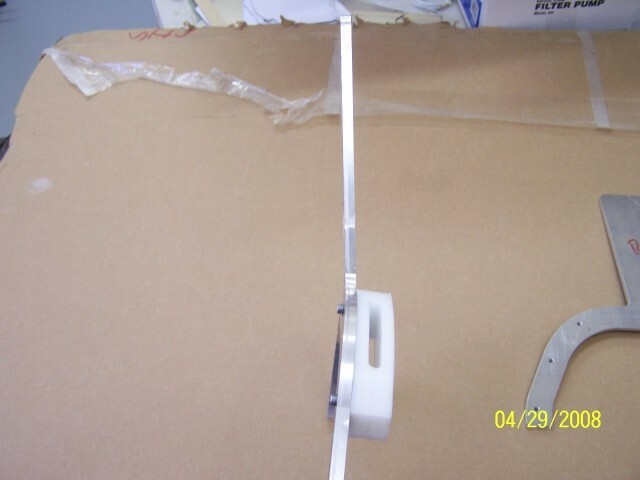 The headrest bracket was made from 1/4" aluminum plate. 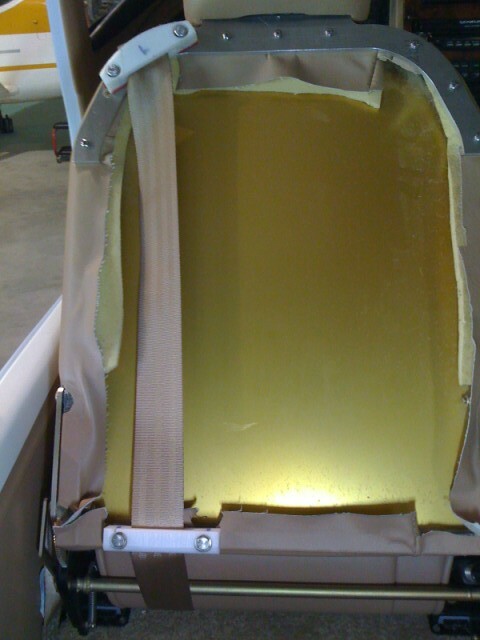 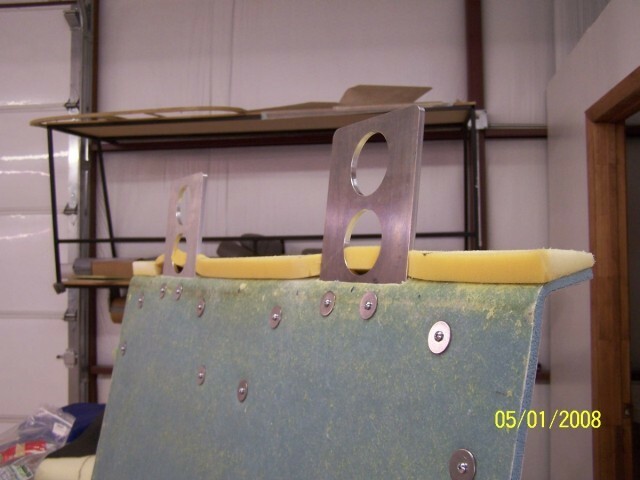 Nylon guides were attached to the back of the seat frame to control the path of the shoulder harness belt.